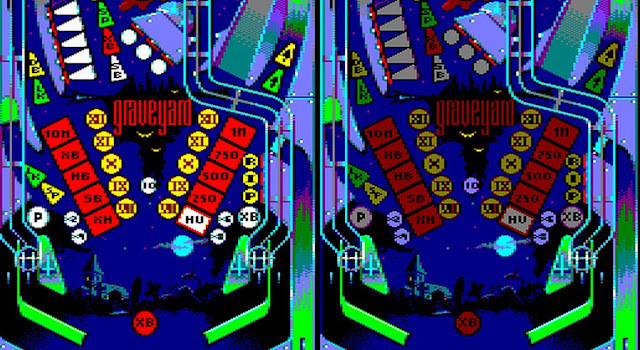 Indie Retro News: Pinball Dreams CPC - Fantastic Amiga classic previewed on the Amstrad CPC - Nightmare update! Pinball Dreams CPC - Fantastic Amiga classic previewed on the Amstrad CPC - Nightmare update! 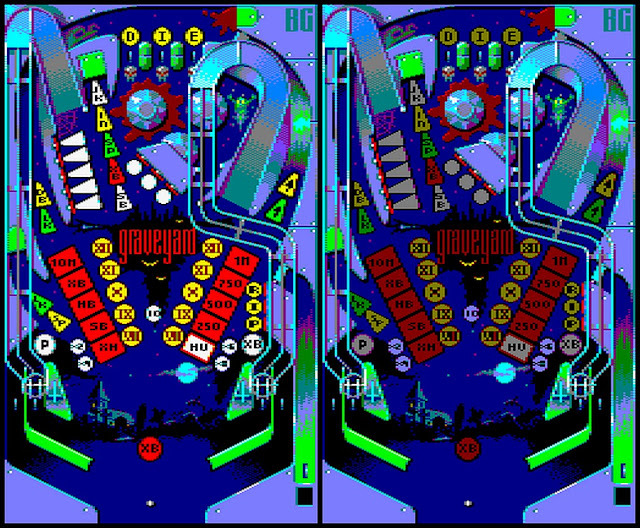 At the end of last year we announced the fantastic Amiga pinball game ' Pinball Dreams ' by Digital Illusions CE in 1992 had finally been made available as a preview download on the Amstrad CPC by none other than Batman Group, creators of the scene demo Batman Forever. Well we are pleased to tell you that after much excitement and global Amstrad load ups of the brilliant preview, Batman Group has announced via the CPC forums the next table of 'Nightmare', which is now the latest update after ' Steel Wheel '. Pinball Dreams was and still is the most amazing of Pinball games, and the appearance of the Beat Box table on the Amstrad CPC blew us all away with smooth scrolling, great detail and stunning 8-bit sound, which was a remarkable achievement on the 8-bit machine. But before you get too excited, unlike the first demo which was released, the creators have now said they are going to work on all the tables and only release when it's all done and not on a per table basis!